Social Signals SEO: Ranking Factor in 2019? Social Signals SEO is one of the least talked factors a few years back, but now one can't deny the ranking factor of Social Signals. Whenever you're getting backlinks to your blog posts, just send social signals before it, you can actually feel the difference how the blog post ranks later with or without social signals. If you're serious about better rankings for your sites, always do Social Signals. Though Matt declares Social Signals Seo is not taken into account, Many People haven't agreed with his statement. Social Signals for SEO is nothing but Google crawls Your Facebook, Twitter and Google Plus Pages links. ( including All Social sites but these three are important). In Twitter,It looks for your links which got re-tweets and Favorites. In Facebook, Google Looks at How Many shares, likes did you got to your links. In Google +, It looks How Many +1s did you to your link. Nothing more to explain. The screenshot shows all. 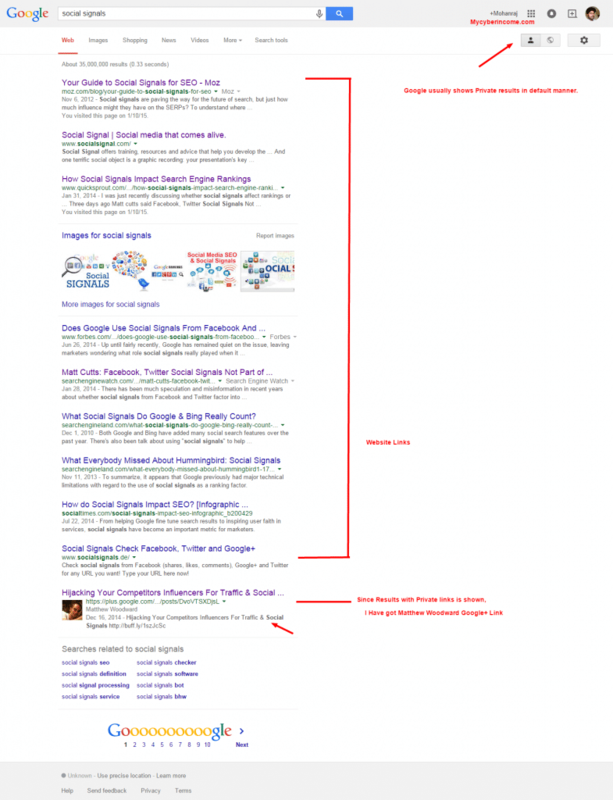 I have searched Social Signals on Google.com(not Google.co.in) and Got the below results. You can check on right side slightly below corner, when you hover over it, it displays like Currently showing private results and Yeah Google Makes Default show Private results. So Popular guys like Moz, Quicksprout occupies Top places and at the end, you can check Matthew Woodward's Google + Link is shown. Since I follow him on Google+, I got his link in search results. Trust Me I haven't put +1 to any of his post at Google +, and still, I got his links. I changed My default results to Hiding Private results and the following result occurs. Matthew Woodward's Google+ link is gone. You can also note one thing. In the previous result, Quick Sprout is on #3 and Forbes site #4. While Hiding my Private results, Forbes moves to #3 and Quick Sprout is on #4. I have never visited Forbes in my lifetime and yeah I do regularly visit Neil's Blog. So is this kind of Social Signals? I'm following Neil Patel on Facebook, Twitter and Google +. I will regularly +1 his post on Google + and on Facebook. 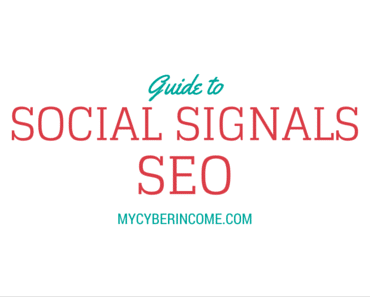 So Here I conclude Social Signals Plays a Vital Role in improving your Site Ranking. Still, we need some inputs to choose whether Social Signals are important or not? Please add some comments to spice up the discussion. How to get Social Signals? History is Enough. So What's your Plan Now? Planning to Improve your social signals right? Here comes a Handy post which Shows How to Sky Rocket your Social signals across all Social Media Sites. Add Pro Bloggers to your Circles.Write some awesome contents. Mention them in your Google + Status if you mentioned them in your blog post. Pro Bloggers can help you a lot, and they can bring a lot of reputation to you and your site. Find your Niche related communities in Google plus. Solve their problems, help them and Don't treat them like subscribers and engage with them as friends. More people you add more traffic will come.Don't worry Even if they don't visit your blog regularly, they can still see your Google Plus links on Google Page 1. Create a New Community group on Google Plus based on your Niche and Drive more people to your communities. These will give you some authority. 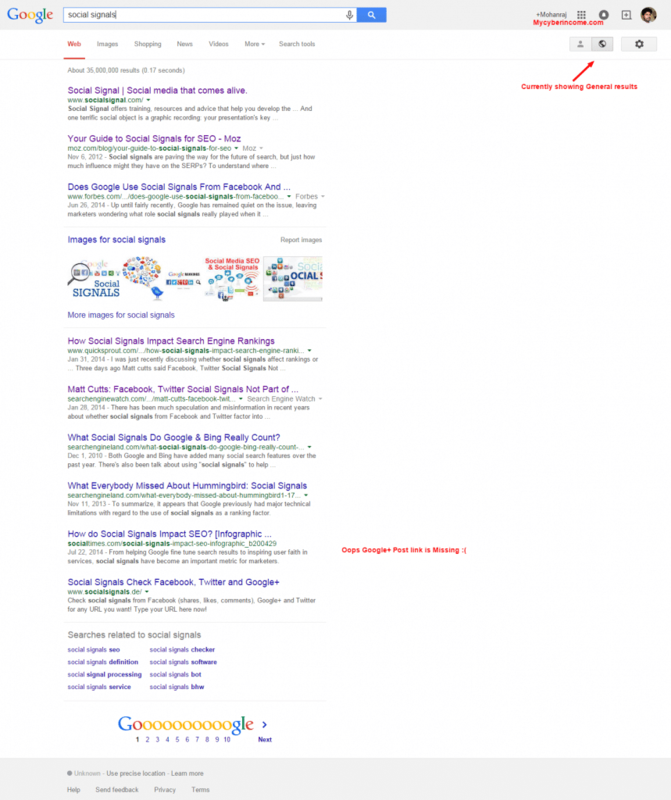 Write awesome post than your competitor and wait Google will take care of your Traffic. Share your Blog Post with all communities.Don't Spam with repeated Links. Post Something Unique and Note Quality Matters, not Quantity. Write a Perfectly Optimized Status Post on Google Plus. Share Your link in your Status Update and Wait till your site's Meta Description loads completely. At TO field add as many circles as possible. You can also [ Tick ] Also send email from you to your circles. Branding is also an important factor for Social Signals. Be unique on Google plus even Logo is Important. Hashtags have become the massive hit on Facebook and always use a Hashtag both in your Status Update and Your Page Status Updates. While Facebook is keen on reducing promotional posts on the news feed, Hash Tag plays an important role in social signals. Chennai Memes stats: 75000 likes · 59004 talking about this. A Facebook page based on Chennai.At the time of writing, they had 75000 fans that too with a span of 1 year. Most of the posts keep engaging with people. If you want to have some live case-studies, you can follow their Facebook page. Google Plus is highly recommended for SEO.But it is not user-friendly in some cases.Things are complicated while adding people to your circles. Here I share my Personal Google + Circles category. To clear things, I have created various circles. Blog Websites – I added Blogging Blogs here. So when I write a blog post, I share it with Work Bloggers circle and not to Blog Websites.It will bring more traffic to your blog. Most of the Bloggers won't use these tricks. Usually, Google + Profile or Page URL will be UGLY Like https://plus.google.com/u/0/42626464565678. 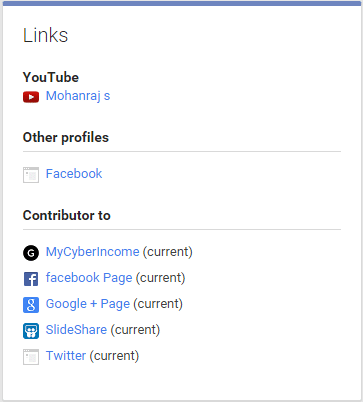 But You can optimize your URL like this – https://plus.google.com/+Mycyberincome. People may forget your blog link, and if you use customized URL Like me, the People will never forget, and they can easily find your blog. Though Google Hangout Nothing to do with Social Signals, it can be useful both to you and Your subscribers. you can improve your communications Skills. Kulwant Nagi of blogging cage will conduct Google Hangouts Regularly. Take a look at his blog and take good inputs from him. Try to add your all your sites for Maximum Exposure. What is TF-IDF? Why Should You Care About It! Hi Nice article. I read all points used here. Good one. 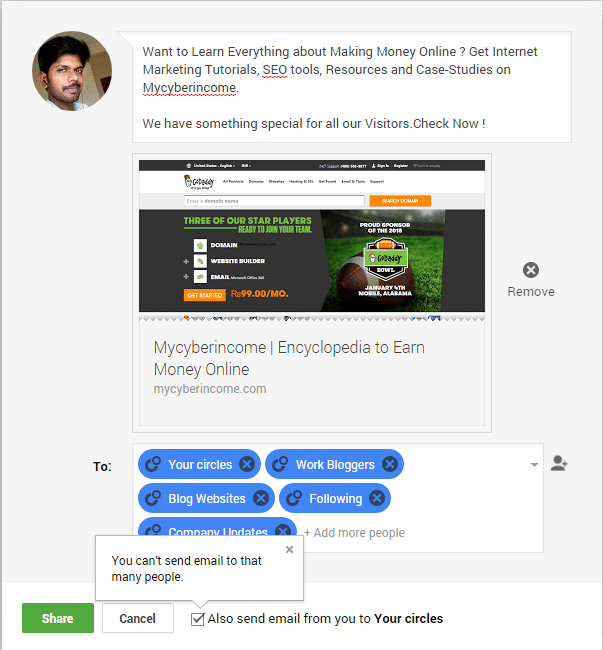 You have written a great article with respect to Google Plus. What should be our strategy about FB, Twitter and etc ?? What platforms we should use and how many we should use ?? 2 ?? 5 ?? or 20 ?? Does traffic from these platform harm adsense or not ?? Thanks for the comment and do you still have any questions ? Great SEO tips you got here Mohan. So Can you share me How you boosted social signals with my readers ? Its very informative write up Specially for those people who are new in the filed of internet marketing. Hello, you got my attention with your post. I like to read it. I just want to ask a question, do you think click-through rate consider as a ranking signal by Google? What do you think? Hey Manohar, what a nice information you gave, thanks for giving this information, I have one question, can we create our own IDS and give social signals, will this work or not? Please tell me, I am waiting for your answer, Thanks in Advance..
Its very informative write up Specially for those people who are new in the filed of internet marketing. Thank you!!!!!! Great Sharing Mohan Raj, Thank you so much! You have written very well researched post Mohan. I think social signal plays vital role in your success. very helpful article Thank you so much 🙂 !!! Yes it is not clear whether the social signals enhance rankings or not but these can help us create an impressive web presence which will definitely help you get web traffic. Using social media platforms can be profitable if used smartly and wisely. Posting latest and good quality content is necessary. It is somewhat tricky to say out loud that social signals does help or not. But for me, I think it helped me, I published a post on my wordpress blog in February, and gave it a backup with some over 1100 social signals I got from agency, and in just 4 days, the page bumped to the 9th position of the first page, and has been in the 7th since the past 5 weeks. I will be using it for my site directly come April and I think the result be also be good too. Social signals always work for any kind of sites. Personally, I never buy social signals but heard some success stories with paid social signals. Social signals definitely work, Google likes to see sites shared around, ignore the fact that they are no follow links. Google will give shared sites the highest priority. is comments working perfectly ? very nice article! it is very helpful for any kind of site design.social signal is very important thing. Yes it works good with any type of website and soon I’m going to share some stats which describes how I ranked a website using social signals alone. This is how we gain social signals, cheers! I like the Social Locker plugin because it’s the best and easiest way to gain social signals on the specific page or post. Hello Mohan, Very informative article, i have a question. If you get social signals from addmefast eg. websites does these social signals count? No. As per my tests it didn’t give any big ranking boost. Thanks for the comment. Follow the blog for regular updates. Social signals for SEO is purely a white hat technique but it can be achieved by grey hat or black hat techniques too. The thing is White hat gives you good ranking and black hat things doesn’t so much value. Very nice inputs Mohan raj, especially for beginners. Thank you for sharing the article. I was eager to know if social signals are helpfull in improving websites visibility so I got a bit of it. Thanks again. Good day Mohan Raj, It’s a great article!! Social media seems to be a hot topic at the moment, as well it’s help to building brand awareness through relevant communities and groups. Nice article, i want to ask if buying social signals do have some worth now a days? If yes, can you please reffer some sources ? Its currently the most complete Social Signal Checker on market. So your visitors can easily check their Social Signal stats. I removed the link because the tool shows wrong social signals value. An interesting post and I especially like your focus on Google+. All too many people neglect this social platform, at their peril! Now will share my website link to my social profile. this is very good article about social signals.I have learn a lot.can you give some tips how I get facebook page likes easily? Hey, Mohan! I’m wondering if Empire Kred and Triberr is a good way for social signals? I also joined Google communities, this really helps. Thanks.